I’m a pure sticks-and-bricks construction and surety lawyer, focusing on construction contracts, change order claims, payment claims, defect claims, delay claims, etc. etc. While I don’t dabble in either employment or immigration law, I fully recognize that construction participants — and particularly general contractors and subcontractors — confront a host of employment- and immigration-related legal issues on a regular basis. I therefore endeavor to pass along important information authored by my colleagues in the legal community who, unlike me, are experts in the employment and/or immigration law fields. In that vein, Jennifer Parser of PoynerSpruill has posted an excellent primer on E-Verify that I recommend to all North Carolina construction participants. 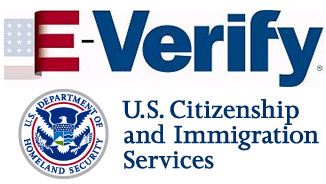 E-Verify is an internet based tool that allows employers to instantly verify the eligibility of their employees to work in the United States. E-Verify became the “law of the land” here in North Carolina last June, and Ms. Parser’s article discusses how the legislation will be phased in, how employers can comply and the penalties for non-compliance. Must reading. And for more, head to the federal government’s E-Verify site.